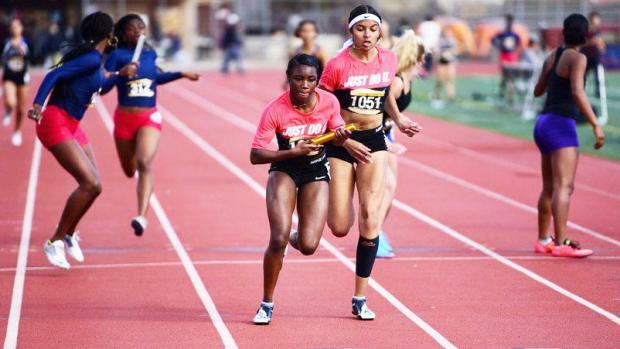 Some of California's elite athletes and relay teams are on the road to Texas this week to compete in the Texas Relays being held at the University of Texas Mike A. Myers Stadium in Austin. Among the Golden Staters looking to represent in the Lone Star State are defending state 100-meter champion De'Anna Nowling of Calabasas, defending state co-high jump champion Rachel Glenn of Long Beach Wilson, Bella Witt of Calabasas, the current state leader in the 100 hurdles, the CA-leading Scripps Ranch girls 4x100 relay team, and the Long Beach Poly boys relay team that leads the state in the 4x100, 4x400, 4x200, SMR and DMR. Nowling, a senior, is scheduled to compete in the 100 and the 4x100 relay. Glenn, a junior who also is the CA leader in the 300 hurdles and ranks second in the 400 meter run, is scheduled to compete in the high jump, the 4x400 relay and is in the pool for the 1600m SMR. Witt, a sophomore, is entered in the 100 hurdles and is a member of the 4x100 relay. Jaymie Ruskovich, a sophomore and a member of the Scripps Ranch 4x100, is also entered in the 100. Additionally, Scripps Ranch, San Diego Section's lone representative at this meet, is scheduled to run in the 4x200, 4x400 and 1600m SMR. While Glenn is not scheduled in the 300 hurdles, two of CA's elites are: Long Beach Poly senior Kenya Payne and Calabasas senior Kyla Robinson-Hubbard. With an early-season best of 42.56, Robinson-Hubbard ranks second in the state. 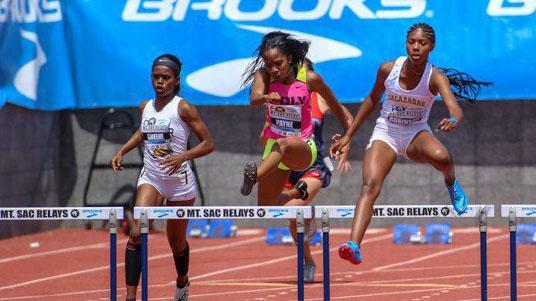 She went 41.82 to win the CIF-SS Masters Meet last spring and went 42.07 for second at the State Meet. Long Beach Poly, the in-season favorite to win the state boys team title, will put its JackRabbit speed on display in the 4x100, 4x200 and 4x400 relays. The JackRabbits are also scheduled to show off their depth in the DMR. And if speed and distance depth isn't enough, the JackRabbits also have stellar senior hurdler Liam Anderson scheduled to compete in both the 110s and 300s. Anderson currently ranks third in CA in the 110s and eighth in the 300s. Like LB Poly, Calabasas is the in-season favorite to win the state girls team title. In addition to Nowling, Witt and Robinson-Hubbard, the Coyotes also have sophomore Jade McDonald scheduled in the relays, the long jump and the triple jump. Also on the trip is Rancho Cucamonga, highlighted by senior sprinter Christopher Hill in the relays and junior Abby Venglass in the throws; Dana Hills, highlighted by distance relays plus individual boys distance runners Garrett Hough and Simon Fuller; and Esperanza junior Jeff Duensing in the shot put and discus throw. 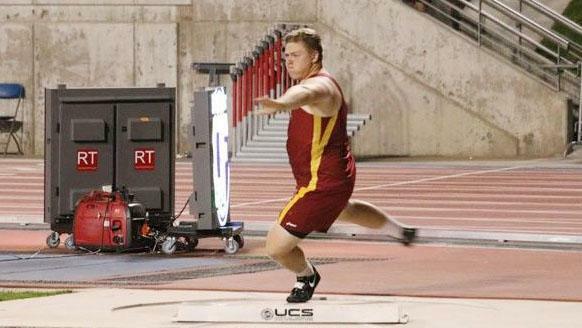 Duensing was the State Meet runner-up in the shot put as a sophomore and is the defending CIF-SS Division 3 champion in the discus throw.